I’ve been getting some really wonderful and positive feedback from you all about the Declaration of Financial Independence post that I put up in January. Because of this, I decided to create a meditation, using the words from the Declaration and a theta metronome. This is a 20 minute meditation, with the metronome starting out first by fading in, then my voice coming in about 45 seconds from the start saying the complete Declaration. I did this to give you a few seconds to allow your brain to get into the theta rhythm by itself without any other influence. The Declaration is repeated 9 times over the 20 minutes, then the metronome plays by itself for one minute, slowly fading out to silence. I recommend that you listen to this at least once a day, and to keep up with your schedule of reading the Declaration 3 times a day. Between the theta metronome, and my voice repeating the words over and over, you will really amp up your vibration for prosperity and financial independence. Because I am using a metronome instead of a brainwave binaural beat to induce the theta state, you can use headphones, or your PC’s speakers. Either one will produce the same results. 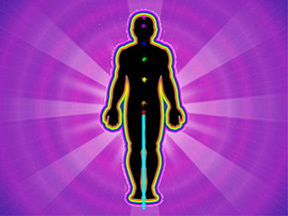 The theta state is from around 4 to 7 brainwave cycles per second, and is the state associated with deep relaxation, increased creativity and intuition, expanded learning and problem solving, it gives a boost to the immune system and helps with long term memory, along with the ability to program your unconscious mind. As with any meditation, find a time when you will not be disturbed for at least 25 minutes, so that you can prepare before the meditation, and have some time after the meditation to return to your alpha brainwave pattern. Sit in a comfortable position, make sure you are grounded and in the center of your head. Start the track and relax with your hands on your legs, with your palms up. If you want, you can include a simple mudhra (a hand position used by many Eastern philosophies and religions) by connecting your thumb and middle finger at the tips. While listening to the metronome, breathe easily and deeply in through your nose and out through your mouth. Don’t focus on the words being spoken. Instead listen for the spaces of silence in between the theta beeps. Hear the metronome in the center of your head, and allow yourself to become aware of the spaces of silence. This is a focusing tool that will help reduce the “mind chatter” that sometimes comes up when meditating.